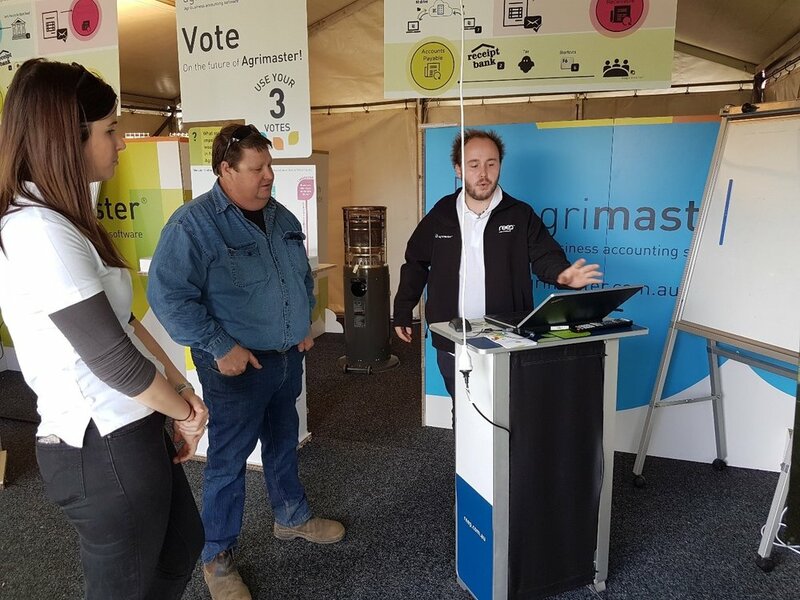 The whole Agrimaster team had an amazing time at Dowerin Field Day this year. Apart from the huge shower at the end of the second day, the weekend was definitely a success. 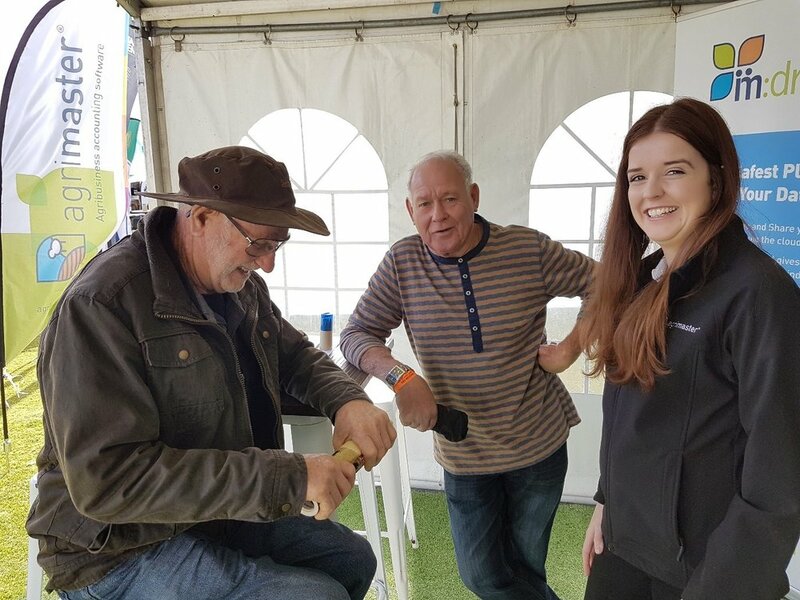 We go to Dowerin Field Day each year to touch base with you in person, help you with any questions and get your feedback. As the agriculture industry is constantly changing and is very technologically driven, the constant feedback is extremely important to us. Prior to Dowerin we had conducted a lot of customer research. We interviewed numerous businesses, questioning the biggest problems they face and what has changed for them in the agriculture industry. From all our research, the three main problems we found are Payroll, Interface and Training. We used Dowerin Field Day to validate the research we collected. We broke the three problems down further and represented each issue with a voting jar system, as shown in the picture. We asked you to vote with 3 cubes by putting a cube into the jar you felt should be prioritised and dealt with first. It was a fun feedback interaction. With over 24,000 people attending Dowerin 2017 it was the perfect location to validate our research. We would like to thank you all for participating and helping us prioritise your needs. Now we are working hard to put you, our customers, at the centre of our product. We are analysing our research results and will finalise a strategy to resolve all the issues highlighted and meet ideas generated. Agrimaster is constantly conducting customer research to learn your wants and needs. If you would like to provide any feedback please don’t hesitate to contact us, we are very happy to receive it to assist your needs.